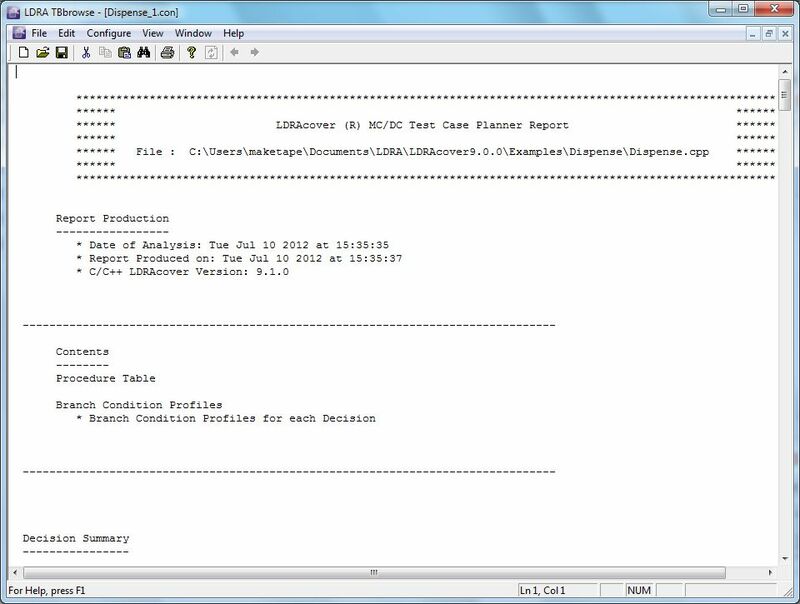 MC/DC Test Case Planner - Details the steps necessary to achieve DO-178B Level A, Modified Condition/Decision Coverage. 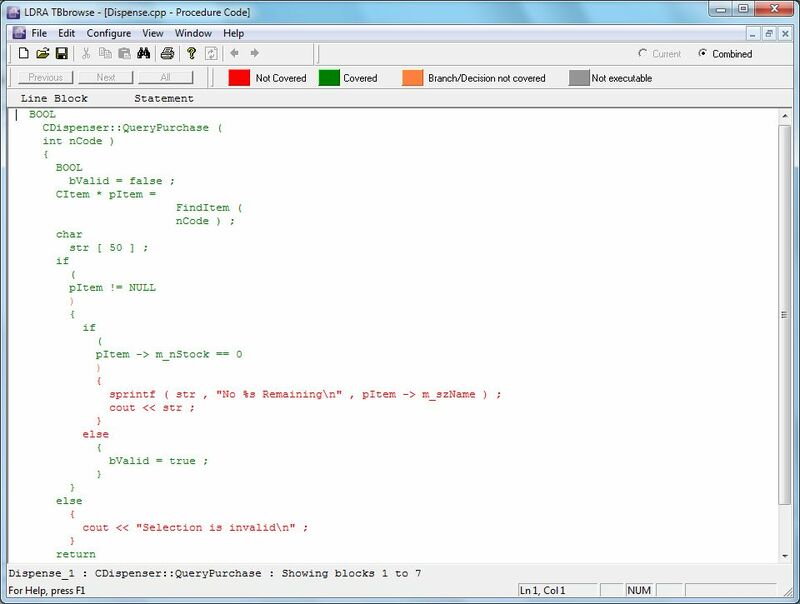 Callgraphs provide the ability to drill down to procedure/functions, graphically display procedure/function call coverage and dynamic callgraphs allow visualisation of test coverage. 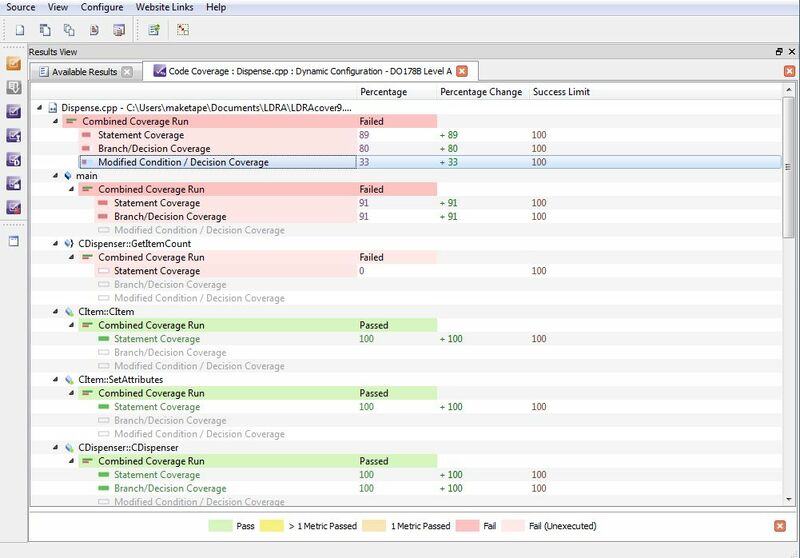 The key deliverable is the measurement of testing effectiveness, which details the statement, branch and test path coverage levels within the software. 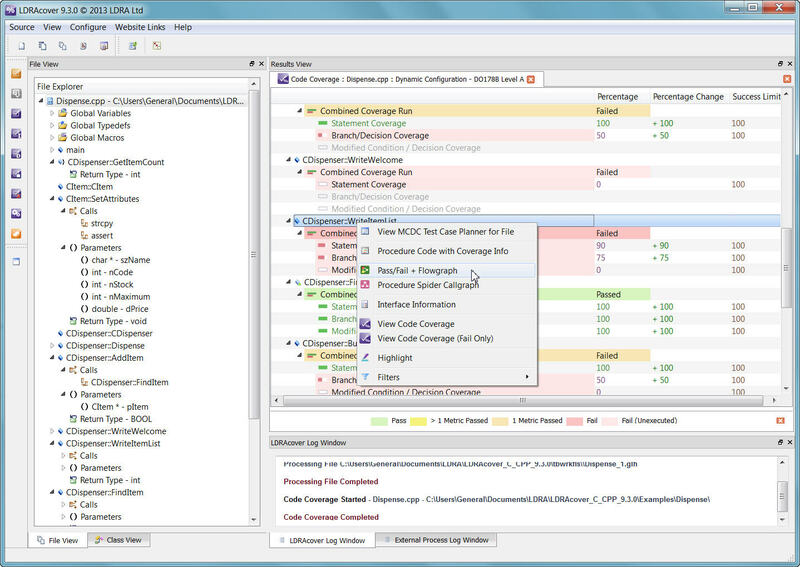 LDRAcover performs all levels of coverage analysis for the C, C++, Ada and Java languages. 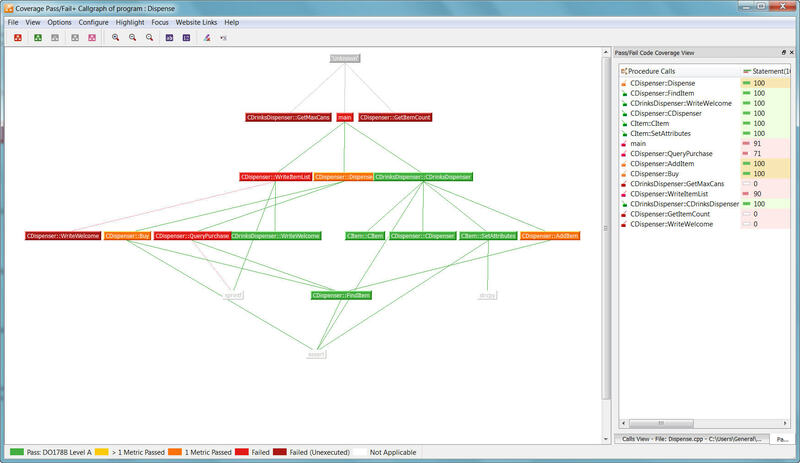 LDRAcover works on the host development platform as well as embedded target environments.